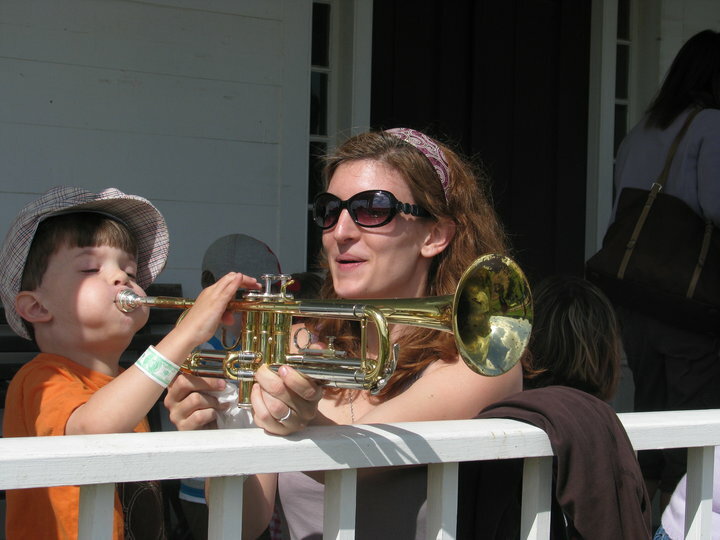 Is My Child Old Enough to Learn an Instrument? In just the last two weeks, I’ve had three parents of children ages 3-6 ask me this question. My answer is always the same: Maybe. I know, I know… that’s a disappointing answer. There’s no clarity there! There’s no decision there!!! But I’m afraid that — especially with the *preschool* population — that’s the best answer I can give. Want a guarantee? I promise you this: There is certainly someone out there who will happily allow you to pay them for their time trying to teach your child how to play an instrument. I’m not making any accusations of dishonesty — that person might be an AMAZING music teacher who has made incredible accomplishments with their other students. Your child’s success comes down to one thing: your child! 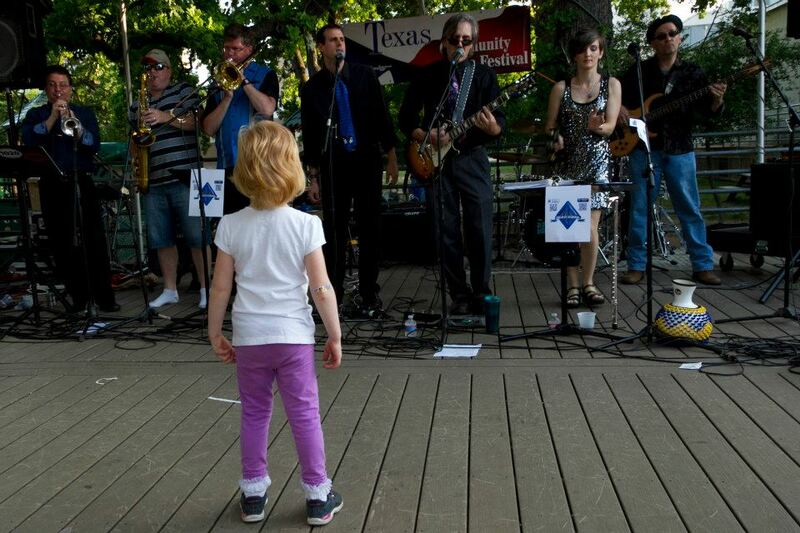 Does you child show independent interest in music? Is she constantly humming, tapping, clapping, or singing? Fixated on the sounds things make? Does he bring along a toy harmonica instead of a toy truck? Drawn consistently to musical toys? Are they dictators over what is played on the car stereo? Have an uncanny ability to identify songs? Are they front and center when you go to see children’s entertainers, and refuse to leave until the show is over? Are they drawn to YOUR instruments? You may have a future musician on your hands! Can your child pay attention to a single task for 15-20 minutes? Because that’s how much time they’ll have to put in, on a regular (preferably daily) basis to learn an instrument. Lessons will be 30-40 minutes, and will be torture for everyone if they can’t stay put long enough to listen to instruction. Just as important: Can YOU make this daily commitment? Your child will need direction not only on *when* to practice, but *how* to practice. It’s 99% certain they won’t sit and practice while you’re making dinner in the next room (well, until age 8 or 9 anyway) — you will have to be right there keeping them on task. 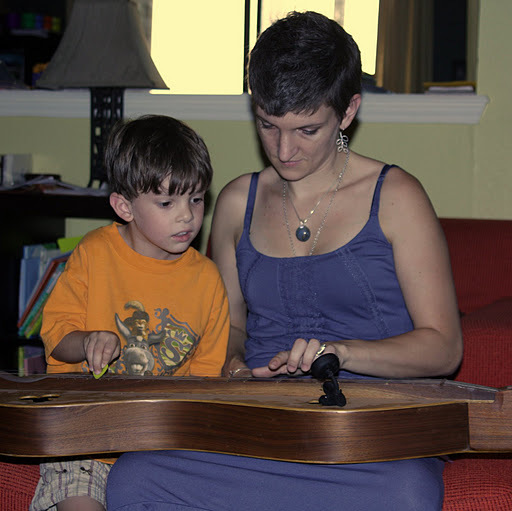 Do you have child-appropriate instruments in your home? Quality instruments are an investment. Already have a piano in your home? Great! Get it professionally tuned, and you’re good to go! But no, I’m afraid that guitar that’s been collecting dust in your study will NOT be appropriate for little hands. Toy instruments (e.g. First Act instruments sold at Toys R Us) are meant to be played with, but are very hard to actually play. They do not hold their tune well, if they are IN tune, or can BE tuned at all! Specific requirements and recommendations for an instrument should be the very first question you ask a potential music instructor. Your child will need to treat their instrument carefully and with respect. And as they grow, the instruments will be outgrown, and will need to be replaced. How is your child’s manual dexterity? Other physical development? Children develop in different ways and at different times. You learned this when your first child was climbing stairs at 9 months, and again when your second didn’t say her first word until well after all the other kids in her playgroup were forming complete sentences. Even if you are certain that your child is cognitively ready to start lessons, physical ability must be in line as well. Likely the most important consideration in starting musical instruction for your child is manual dexterity and fine motor control. What’s a good sign they’ve developed enough to begin? Handwriting. Can they control a pencil and write their name legibly? Can they *mostly* stay in the lines when coloring? Or maybe thread small beads or assemble intricate structures with Legos? Most instruments require independent control of each finger. String instruments require a good deal of finger strength, as well as the ability to attend to completely different tasks with each hand. Wind instruments require decent core and diaphragm strength to get adequate air movement to produce and sustain sound. On a basic gross motor level, your child must be able to simply hold an instrument properly to instill good habits from the get-go! Is your home a musically supportive environment? But seriously, for many children LOUD=fun, LOUD=good, LOUD=the way things are to be done, and nuance will come much later. Can you handle and encourage LOUD clanking, clonking, bonking, and discord? Kids need lots of time to experiment when facing new encounters. The “muse” of musicianship comes at any time, especially with a music lover — would your child be able to practice and create whenever the mood strikes, or only from 3-4 on weekdays *if* you’re not on a conference call? How are your family’s musical habits? 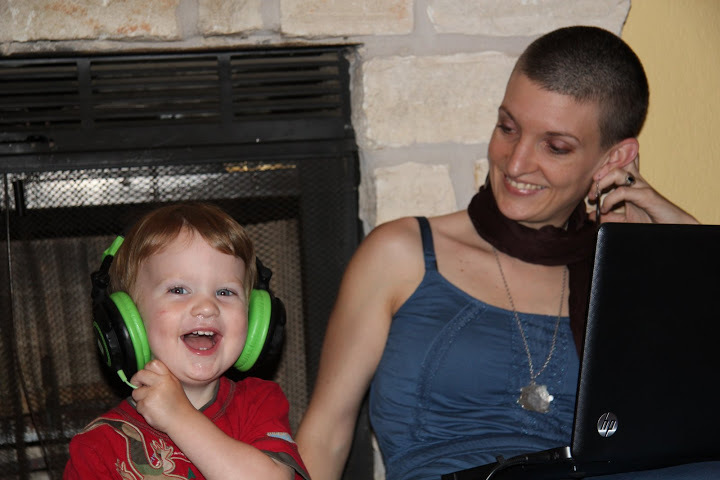 Do you expose your children to music frequently? Do you experiment with listening to different genres and instruments? Do you attend live performances? Do you watch musicians perform on television? Are YOU a musician or music lover? Bonding over music might be the added incentive for your child to follow through with music instruction. So fill your home with musical toys and just PLAY together. Get an inexpensive electronic keyboard with lots of buttons and voice settings — kids LOVE to push buttons! Let your child discover through experience the different tones, high and low, big and small, dark and bright, pretty chords, sad chords, “yucky” chords…. It’s interesting, too, to see which words your child uses to describe music! Can you do *that* for 20 minutes every day? Then you may be ready for some lessons! Having second thoughts? Here’s the beautiful thing about child development: it keeps happening. If after reading this post you’re on the fence about your child’s readiness, step back, take a deep breath… and revisit the decision in six months. Or a year. Or even two years. Your child will NOT be left behind if music is their calling. The only thing left behind will be the frustration and negativity that might otherwise get in the way of a lifelong love. 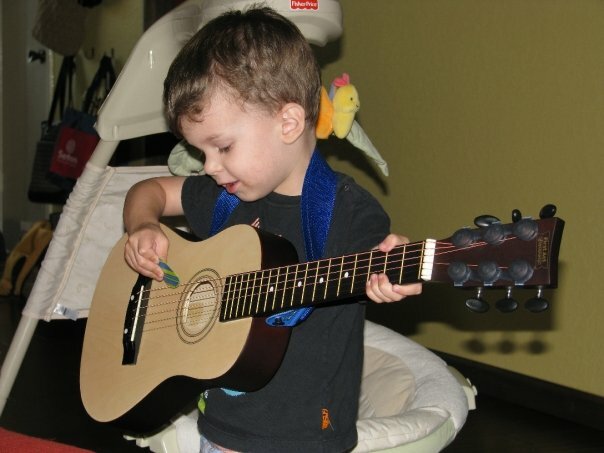 This entry was posted in Curriculum and tagged 2014, austin texas, child development, early childhood, instructor, Ms Kat's Music and Movement, music, music and movement, preschool, preschool guitar lessons, preschool instrument lessons, preschool music instruction, preschool music lessons, preschool piano lessons, preschool violin lessons, preschool wind instrument lessons, when can my preschooler learn an instrument. Bookmark the permalink. Great article! I never told parents “no” or “maybe” … always “YES” then, how hard are YOU willing to work at it? The question is inspiration vs. perspiration. Given the information you provide, the decision is easier.